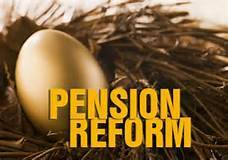 On Monday February 15, 2106, the Arizona State Senate voted 29-0 to support proposed pension reform. The pension reform bill had previously gone before the Senate Finance Committee where it passed with no opposition and the House of Representatives where it passed with minor opposition. On Tuesday, February 16, 2016 Governor Ducey signed the bill, which will go to a special ballot on May 17, 2016 for a public vote. We encourage all of you to vote “YES” on this important issue which will help get PSPRS back to a healthy state and ensure that it is sustainable for retirees, current active law enforcement officers, and those who have yet to be hired. We appreciate all the hard work all the stakeholders put in to make this possible would like to thank all of them as well as the House and Senate members who voted to pass it as well as Governor Ducey for signing the bill.